The apartment (60m2) is on the first floor (no lift) and very tastefully decorated by an interior designer. 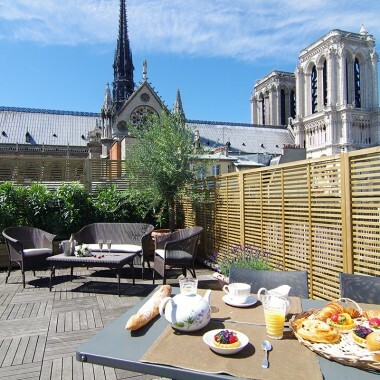 It faces an interior courtyard so, despite being in a popular area of Paris, it is particularly quiet and peaceful. The living area has a dining corner and an open-plan kitchen. There are two very comfortable double bedrooms and a bathroom with bathtub. There is also a sofa-bed in the living room. Amenities include a stereo system, DVD, TV, washing machine/dryer, ironing facilities, heated towel rail and hairdryer. Baby cot available on request. Living room and dining room. Kitchen, equipped with dishwasher, 4 ring hotplate, electric oven, microwave, coffee maker, Nespresso machine, kettle and toaster. 2 double bedrooms (queen-size or twin beds). 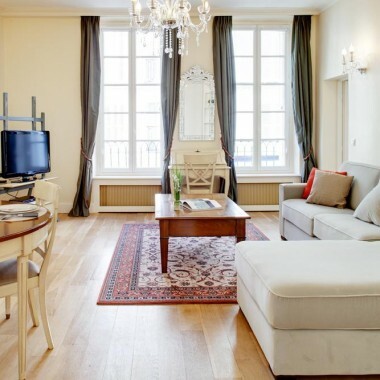 This charming rental apartment is situated at the heart of the picturesque Marais, with its village-like atmosphere, and great choice of restaurants, bars, boulangeries and other food shops. Near the apartment is an open street market in Place Baudoyer open on Wednesday and Saturday mornings. 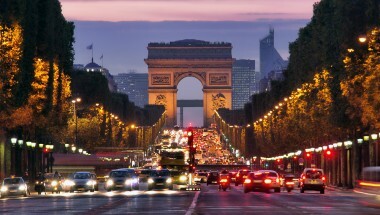 The area also abounds in interesting galleries and boutiques, with the nearby rue des Francs Bourgeois, the only shopping street in Paris open on Sundays. Both the Musee Carnavalet and Musee Picasso are close by. 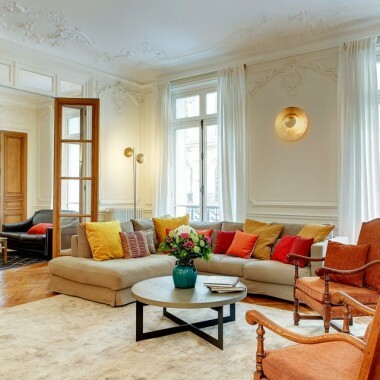 You will also be within walking distance of many famous sights of Paris, including the beautiful Place des Vosges, the Pompidou Centre, the River Seine, Notre Dame Cathedral, and the charming Ile St Louis, as well as the Latin Quarter and St. Germain area, just over the river.